What this country fears are elements of riots happening in Kitwe and surrounding areas. Kitwe is known for very nasty riots which have seen the most powerful Republican President Kenneth Kaunda fall. 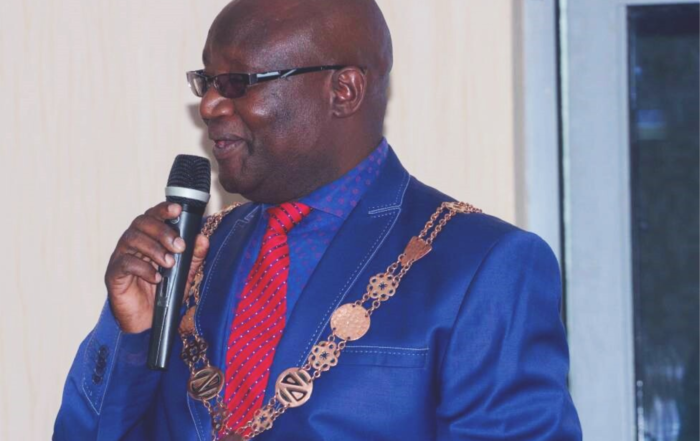 Kitwe lately has been witnessing isolated incidents of minor riots, an indication that the molten lava could be ready to rupture and engulf the entire city into flames. The President and his team need to really manage these riots very well. Clearly, what has been the problem is the mistrust between citizens and those governing. The ‘I don’t care attitude’ of Government when citizens are demanding for genuine answers shows impudence on the citizens. The rumour of ZAFFICO sale started doing rounds a while ago and Government with the ‘I don’t care attitude’ literally ignored the issue as always but this time around two riots in Kitwe and Kalulushi ruptured. This attitude of always ignoring people is dangerous. The PF has always traded on this thread, as can be seen from how the governing party handled the issue of the procurement of fire tenders. Just the firing of Lucky Mulusa as Planning Minister for allegedly likening the fire tenders to wheelbarrows is enough indication that the PF regime maintains a stubborn stance over the outcry of the people. Zambians need answers and the carefree attitude we are seeing from Government is not helping matters. Sadly, Government is now shifting blame accusing opposition parties of being behind unrest. When a Chinese national had shot a Zambian shopkeeper, Kitwe rioted and when the car washer was shot by a cop, the same city rioted. Government simply accused the opposition of being behind the riot. We all know that the people who have been protesting against the alleged sale of ZAFFICO merely needed honest answers from government. If indeed this regime is honest, accountable and is concerned, it would have addressed this issue before it culminated into the riots. We are left without doubt and choice than to believe that government predetermined the consequences of the protest, so as to lucratively blame the opposition UPND and its leadership of inciting people to riot. But all these tricks are not addressing the issue. Has government sold ZAFFICO? The answer is what the people want and this answer must not be laced with stubbornness or police combatants. The people are not concerned with claims that Hakainde Hichilema incited the people by lying to them. Whether or not Hichilema said anything suggesting ZAFFICO was sold is inconsequential when considering the responsibility of government to make things straight. The truth of the matter is that when there are isolated incidences of protests, rioting is an indication that people are angry. Moreover, riot, as often seen, is proximate causes of protests if not properly handled by those activities are addressed to. We are not surprised that the entire village vented its anger by blocking the road and stoning motorists on an international route on an issue that could have been addressed a while ago.